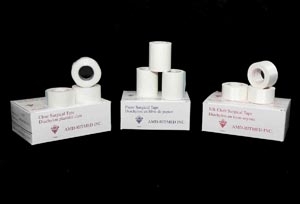 Strong woven construction make this durable tape ideal for securing wound dressings, tubing and drainage lines. Tears easily for convenient application. Moderate stretching ability to accommodate movement and swelling. Breathable, hypoallergenic and latex-free.